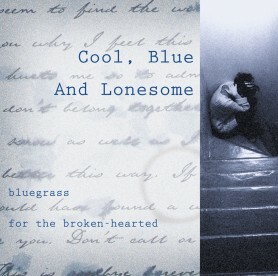 Released close to Valentines Day, Cool, Blue and Lonesome: Bluegrass for the Broken-Hearted may be just the ticket for those surviving without red roses and heart-shaped candy boxes. After all, who wants to listen to some cheerful soul sing about their true love's kisses when their heart has been trampled on? Indeed, as soon as Larry Cordle starts singing "Lonesome Standard Time," the listener has found a bit of solace for his or her mangled self-esteem and salty tears. 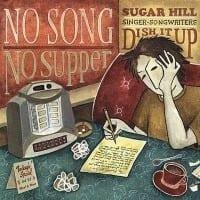 Doyle Lawson pours more sadness into that great big empty hole with "Mis'ry River," while the Nashville Bluegrass Band agree that there's no lower feeling than being "All Alone." From the sampling here, more men seem to have been left behind than women, which leads one to believe that Sugar Hill will eventually release a collection by women who were glad to see them go. For the occasional woman who isn't glad to be left alone and blue, Kathy Kallick and Laurie Lewis team up on "Used to Be," testifying that lonesomeness isn't completely gender related. While Cool, Blue and Lonesome is perfect for a train-wrecked relationship, the happily connected shouldn't avoid it. 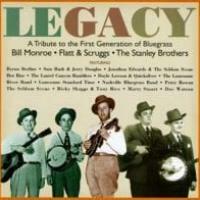 It a good collection of top-notch bluegrass artists, and besides, it doesn't hurt to have a first-rate, lonesome album in one's collection -- just in case. Track Listing: CD 1: Walter Shakey Horton & Hot Cottage: 1. Joe Chicago – 0:20 Barrence Whitfield & The Savages: 2….